Happy St Dwynwen’s Day you lovely people! So proud that in Wales we have a lady patron of love. Last week the amazing We Are Cardiff blog asked me to develop a recipe for them! And here it is together with the full blog. 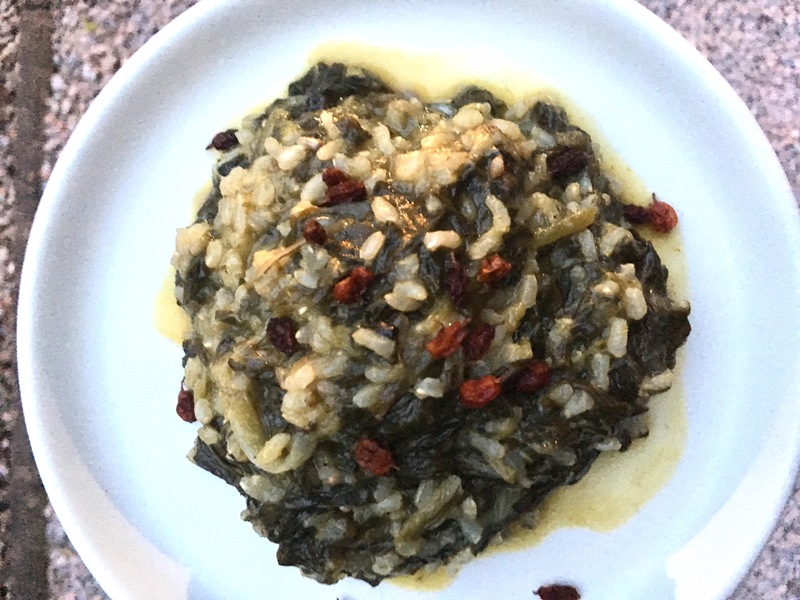 Remember to find out more about Greek food join one of Lia’s Kitchen intimate cooking classes on 3 and 10 February. I will be introducing participants to Greek Kitchen basics but will also be sharing Greek flavours and recipes that are not yet widely known in the UK. You can book online here www.eventbrite.co.uk/o/lias-kitchen-7901836356. Or contact Lia for more information at lia@liaskitchen.com. 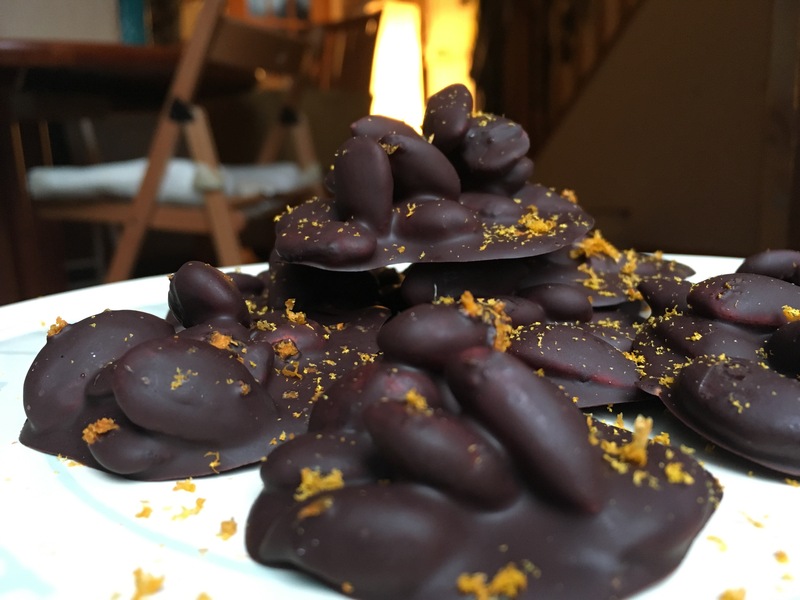 This entry was posted in Comment, Greek cuisine, Recipes, Vegan, Vegetarian and tagged Cardiff, chocolate recipes, greek food, Lias Kitchen, love, st dwynwen's day, wearecardiff. Cima di rapa is a star ingredient grown organically in our very own patch by the fantastic Blaencamel Farm this January. It is a broccoli sprouting (Broccoli raab/Rapini) loved in Southern Italian/Puglian cooking, typically in anchovy and butter sauce combinations and served with orecchiette pasta. Together with the other greens offered in Blaencamel vegetable boxes and at farmers’ markets this January, Cima di Rapa has inspired a Lia’s Kitchen dish that takes me back to my Greek – greens – loving roots but also uses coconut milk, an ingredient I have come to love through my travels in India and Cambodia. Good and ample sea salt is essential for your recipe, as Cima di rapa loves a salty kick. * You can source Pembrokeshire Beach Company products at Penylan Pantry. Wash all the greens really well. To ensure all dirt is removed leave the greens in a bowl or basin for around 10 minutes after the first wash. In a big pot add enough boiling water to cover the greens (stalks included) and boil for around 10-15 minutes on low heat, or until the stalks are cooked. Whilst the greens are cooking, heat the coconut oil and fry the ginger and garlic for a few minutes (roughly chopped in 2-3 three chunks each). Then add the coconut milk of your choice, the specialty salt and the kelp seaweed salt and chilli flakes if you are using. Lower the heat and simmer the coconut sauce for 5-10 minutes or until the greens are cooked. When the greens are ready, drain them keeping the liquid from the boiling process. You can use the liquid to boil pasta or noodles in it (if that’s a serving preference) and you might need a little bit of the liquid to thin the sauce of the dish, particularly if you are using tinned coconut milk. Return the greens in your big pot and pour the thin coconut sauce over them, simmering for another couple of minutes. If the coconut sauce has thickened use some of the liquid (kept after draining) to thin it. This is a dish for which you should have a runny, thin sauce to serve the greens in. The end result should be something between a thin soup and a stir fry. Cool down for 5 minutes and serve with bread or noodles to enjoy the flavoursome and nourishing sauce. This entry was posted in Recipes, Review, Uncategorized, Vegan, Vegetarian and tagged blaencamel farm, brocolli raab, cima di rapa, cima di rapa recipes, coconut milk recipes, coconut sauce, greek food, Lias Kitchen, oliveology, penylanpantry, rapini, specialty sauce, vegan, welsh produce, winter greens.